Affordable quality housing has always been at the forefront of CPLC’s comprehensive service system. To this end, CPLC has established an extensive housing system that incorporates several approaches to the development of affordable quality housing. The agency offers counseling services to clients on mortgage default, pre-purchase, post-purchase, and first time home buyer education, financial literacy, foreclosure prevention and fair housing. CPLC is a Housing and Urban Development (HUD) approved counseling agency with more than thirty years of experience. CPLC provides housing counseling services designed to help individuals and families acquire relevant information needed to make sound decisions, identify affordable housing options, and maintain stability. CPLC’s Housing Counseling team is required to adopt and follow The National Industry Standards for Homeownership Education and Counseling. The National Industry Standards are a set of guidelines for quality homeownership and counseling services. FIRST TIME HOMEBUYER EDUCATION: This instructive 8 hour FTHB class covers the process of homeownership from working with real estate professionals, loan officers, title reps, and understanding the title process. It also covers important subjects such as credit terminology, mortgage products, home inspections, and other relevant homeownership responsibilities. Our HBE Class certificate is approved and accepted by most state and municiple housing subsidy (down payment) programs. 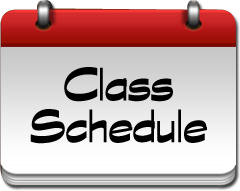 Call our office at (702) 207-1614 to inquire or to sign up to next available class. 1402 S. Central Ave., Bldg A. 2550 E. Fort Lowell Rd.